These personalized notepads featuring The Mad Padder's "beautiful" font are the perfect way to jot a note to someone special! Each notepad contains 50 sheets and measures 4 1/4" wide x 5 1/2" tall. When ordering, please view each of the image depicting the font color choices. Choose color from the dropdown menu. Then enter the personalization in the open field. 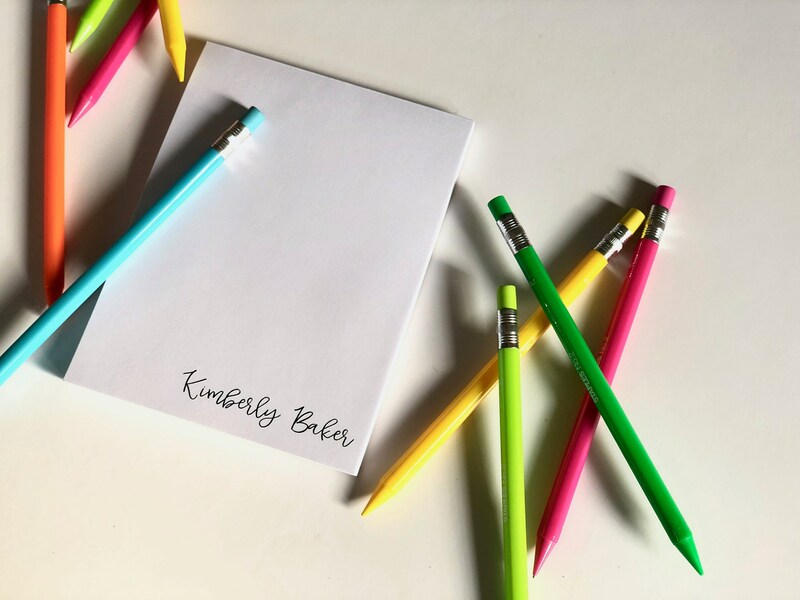 *If you'd like to break the set up into 4 differently personalized notepads, please send a convo with the details of what you would like on each of the notepads in the set. The notepads will each be packaged separately.